Taking advantage of the end of war with Russia, and anticipating large American armies to arrive by mid-summer 1918, General Ludendorff orchestrated the Kaiserschlacht around several campaigns. Operation Michael was the centerpiece—an attempt to crack British lines and split that nation's forces away from the French. Several other attacks were planned initially as spoiling distractions from Michael, including Operation George, a drive to push the British back to the Channel ports. Yet as Michael turned into a bloody tactical victory rather than a strategic breakthrough, Ludendorff changed George into the smaller-scaled Georgette, shifting the direction of the German attack, and hoping now to seize Ypres and in so doing demoralize British forces. Tomaselli chronicles the experience by focusing largely on the British First Army's endurance in the face of a powerful assault, although he initially devotes some time to Portuguese units. 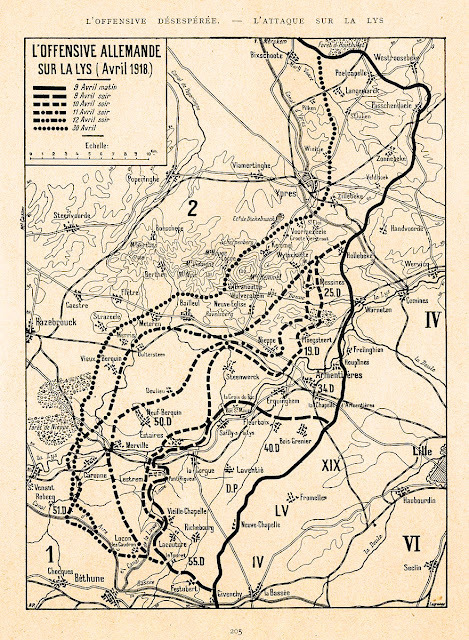 The German attack targeted that nation's Second Division, one of the few Lisbon sent to the Western Front, assessing accurately that they would break under enough pressure. As the Portuguese retreated west they exposed British flanks, which then were defeated and/or retreated as well. Chaos threatened, leading to friendly fire incidents (70). Rolling up the line north and south of the breakthrough ended when several units desperately and successfully defended Festubert and especially Givenchy to the south. 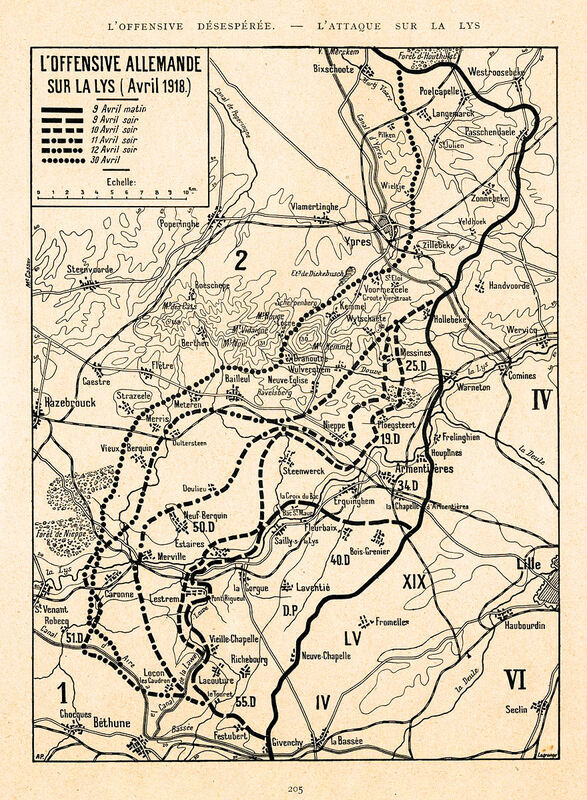 The Germans then bypassed these strongpoints and pressed their initial gains to the north hard, but that drive gradually stalled in the face of fierce British resistance and French reinforcements. Some of the primary sources are contemporary photographs, which are very good. They include portraits of soldiers, fortifications, trenches, terrain, weapons, and units. This is a strength of the book. Photos become contemporary in the book's final chapter, which offers a guide to any reader wishing to explore the Lys battlefield in person. Tomaselli makes a case for Lys being underappreciated in context and interesting on its own terms. Throughout the book he emphasizes that the British high command had little impact on the battle; instead, "[t]his was very much a soldiers' battle. There was very little useful input above brigade level…a number of factors handicapped the artillery, there were no tanks and the Royal Air Force made little contribution" (8, 9). This is persuasive, overall. Attention to Lys gives a more balanced view of the spring offensive. 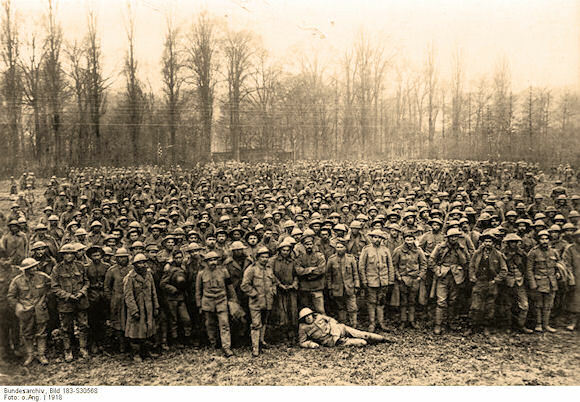 However, several limitations hamper The Battle of the Lys 1918. To begin with, the book is overwhelmingly concerned with the British Army. We barely see the Portuguese as they exit. Germans barely play a role (one scant quote on p.132, for example). There's a British order of battle (appendix 1) but nothing for Germans. This one-sidedness severely limits our understanding, especially given the different experiences (the Germans using artillery and Hutier tactics, for instance). We don't learn much about German command decisions, and the battle's end is a bit cryptic. Moreover, for a book so crammed with illustrations, this one does a very strange job with maps. It continues the recent fascination with contemporary maps, which can be useful objects for period flavor (pages 31or 35 for example), but usually don't help the modern reader. They also lack explanatory notes, often including sources or translations. The book has several line maps located oddly (in later chapters, and on the back cover), but those are uneven, lacking many features mentioned in the text, and sometimes drawings blot out their own labels (85). Earlier I mentioned first-person accounts as a strength of the book, yet they can be overdone. For example, one excerpt from some text authored by two King Edward's Horse lieutenants runs for ten pages, or roughly 6% of the entire book (104-114). It's a decent text, but surely this is excessive. One further complaint—while the Battle of the Lys ran from 9 April through the 30th, the book focuses only on 9–12 April. The remainder of the campaign is treated in a six-page sketch. Therefore, this is really the first part of the battle, perhaps the most dramatic, but only a handful of days before the first week was done. Overall, a respectable yet flawed effort to draw attention to an important and understudied part of the spring 1918 offensive. Agree as to contemporary "tour guide" maps. I much prefer clear, newly drawn maps keyed to the text. Fine review and evaluation of the book, Bryan. Thank you! I realize I've read very little (except a few negative comments) about the Portuguese efforts in the War. Also, in my own experience, I've found very few histories to have clear and relevant maps to accompany the text.